I feel like I have been so busy lately with family things, SHOP things, BLOG things that I have totally neglected HOUSE things! Do you know what I mean? I have no idea how in the world to keep up with everything these days. I need to start prioritizing better and saying "no" more often. 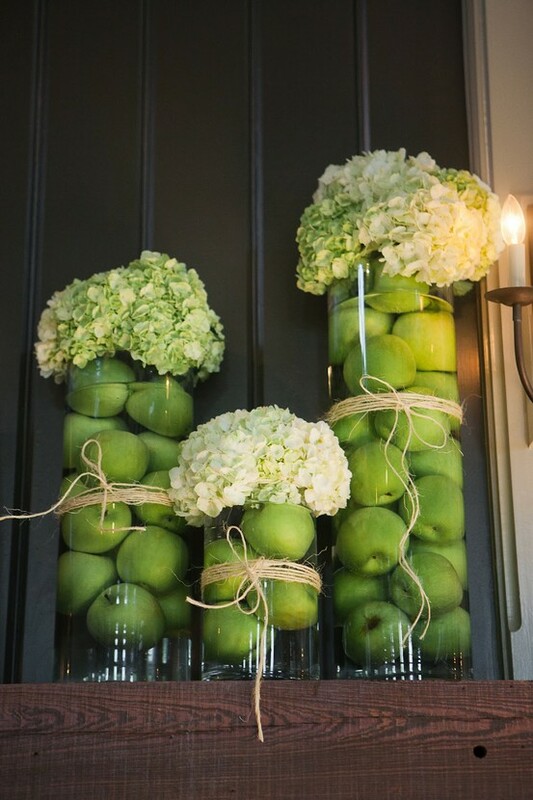 These vases filled with green apples topped with hydrangeas are gorgeous! 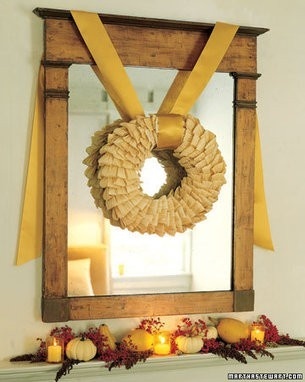 I love this wreath hung over a mirror. I've always loved the look of a set table. However, we use our table every.single.day so it seemed silly to set it up so nice & pretty when it would only be messed up later in the day. 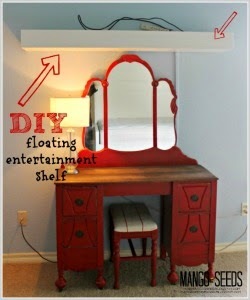 However, this next centerpiece would work just perfectly and looks like it would be pretty simple to make. 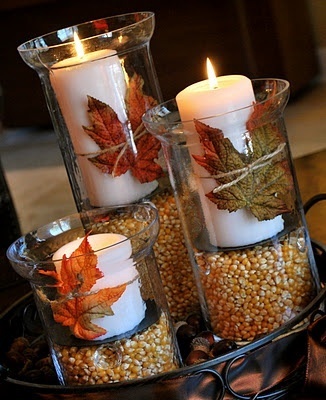 I LOVE the idea of using popcorn as filler for candles. 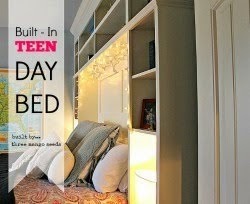 Now that I have some ideas for our home I just need to find a little spare time to actually do them! How about you? Do you have good intentions but always get sidetracked keeping up with life? 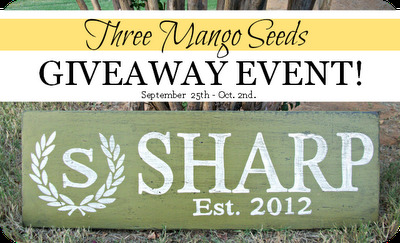 A little reminder if you haven't signed up to win a custom laurel wreath family name sign to CLICK HERE because it is ending tomorrow! Thank you so much for stopping by for a visit! I love your comments and try to respond to each one! Also, don’t miss a single post – it’s easy to stay in touch! Clydia, these are some wonderful inspiration photos. 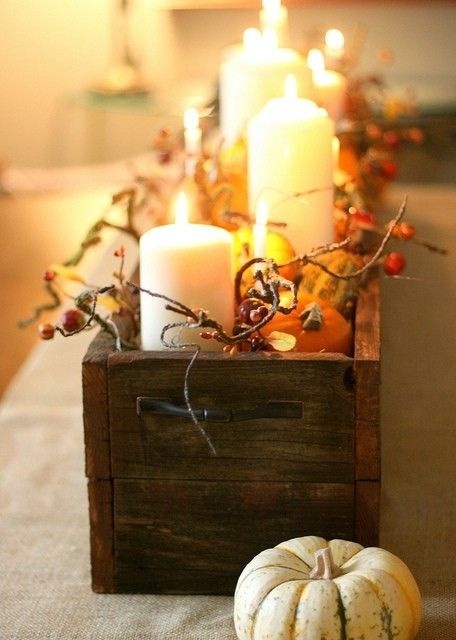 Love the rustic box centerpiece; and the apples and hydrangeas! 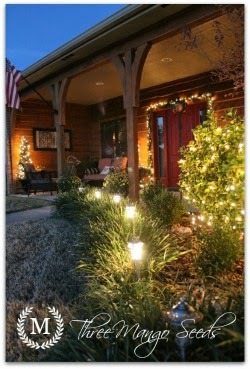 Great Post and collection. The apples and Hydrangeas are my favorite! 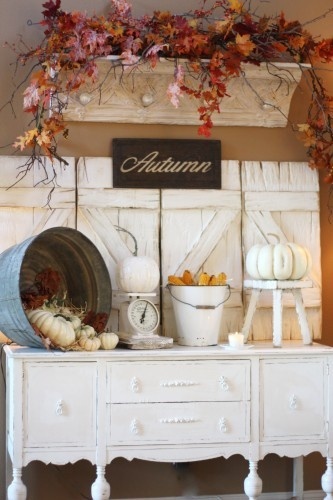 Pretty Fall decorations! Love the hydrangeas and apple!